Will Japan Airlines’ $8.5 billion IPO meet a fate similar to Facebook? High demand and an anticipated market could either turn JAL into a success story for bankrupt airlines after its two-year turnaround, or shares could soon fall as competition in the Asian market rises. 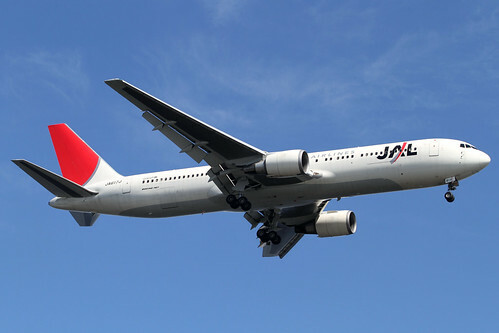 JAL will open on the Tokyo Stock Exchange under the ticker 9201. Photo by Kentaro Lemoto. The stock price was set at 3,790 yen, according to a regulatory filing today. Shares in the Tokyo-based carrier will begin trading on the city’s stock exchange Sept. 19. JAL will be the world’s fourth-biggest carrier by market capitalization when it returns to the stock market having completed a trip through bankruptcy protection and a turnaround that included shedding a third of workers, canceling routes and retiring older planes. The airline is being priced at about five times forecast earnings, compared with about 13 times for All Nippon Airways Co. (9202), Japan’s largest carrier.